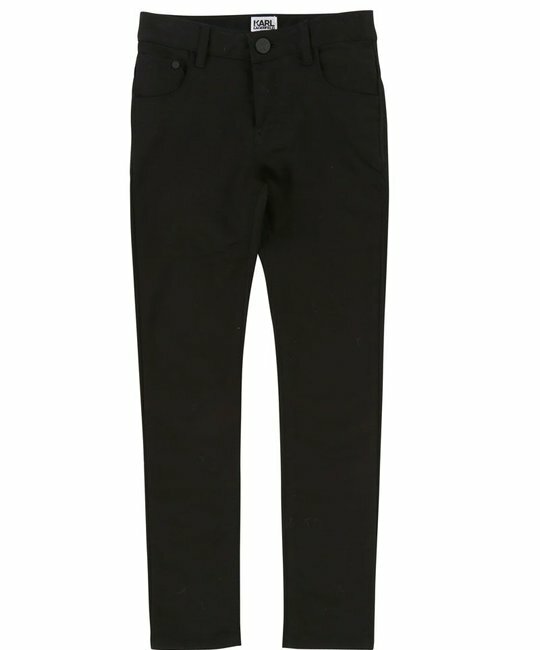 Karl Lagerfeld soft black cotton twill five pocket pants. Slim fit. 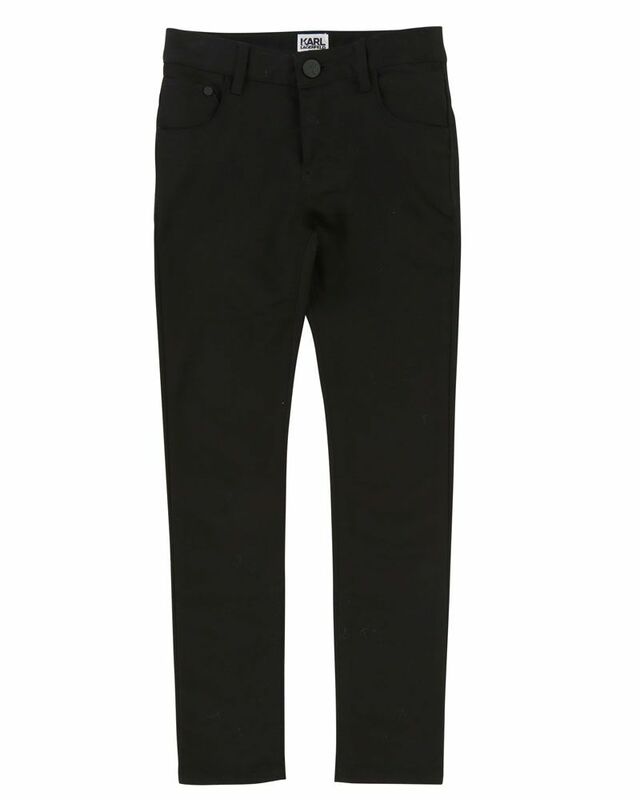 80% Cotton, 17% Polyester, 3% Elastan. Imported.